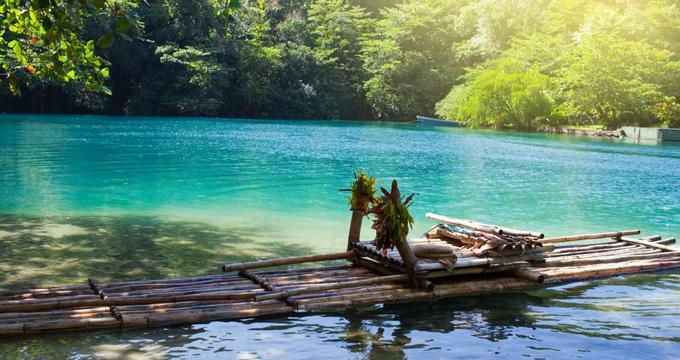 It's impossible to think of Jamaica without hearing the reggae music of Bob Marley or picturing white sand beaches and crystal-blue water, but these things are only the beginning of what the island has to offer. Considered by many to be the heart of the Caribbean, Jamaica offers everything from swanky all-inclusive resorts to beautiful waterfalls hidden well off the beaten path. Whether you're interested in relaxing on the beach with a local rum cocktail or sailing through the rain forest canopy on a bobsled, here are 25 of the best things to see and do on a trip to this island paradise. Tucked away in a remote part of the country, Blue Hole Mineral Springs is a beautiful swimming hole completely encased by karst limestone. The water is wonderfully clear because of the way in which it's filtered through the surrounding rock, and is approximately 30 feet deep. The surface of the water is an additional 25 feet below the opening of the hole; visitors can either dive in or climb down a convenient ladder. People come here to swim as well as for the high mineral content of the water and the surrounding mud, which is believed to have beneficial properties for the skin. 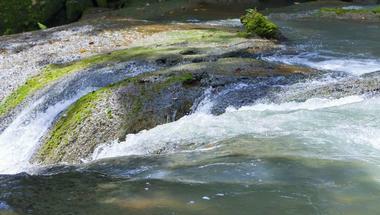 Formerly known as the Enchanted Gardens, The Turtle River Falls & Gardens are conveniently located in Ocho Rios. 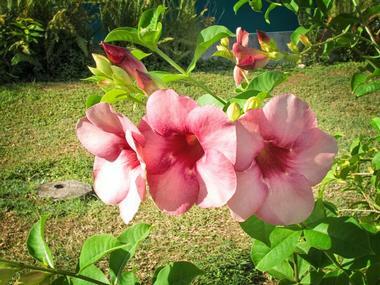 The gardens encompass 15 acres and are home to a wide variety of tropical plants, most of which are indigenous to Jamaica and some of which are endangered. Another highlight of the property is the Turtle River, which runs its way through the garden and boasts 14 tumbling waterfalls. The gardens are typically open to the public Monday through Saturday between 9:00am and 4:00pm, but special arrangements can sometimes be made for anyone wishing to visit on a Sunday. 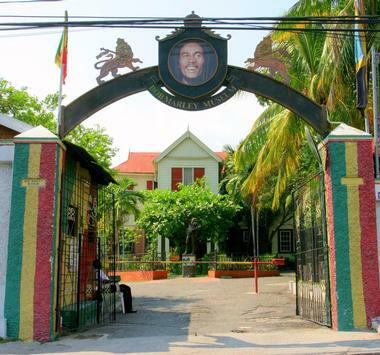 Located inside another of Marley's former homes, the Bob Marley Museum was first created by the musician's wife and features displays of many of his personal treasures. In addition to the main exhibit, there is a gallery of photographs, a theater that can seat up to 80 people, a gift shop, and a cafe that specializes in Jamaican food. All visitors must take a guided tour, which is included in the cost of admission and lasts approximately 1hour and 15minutes. The museum is open between 9:30am and 4:00pm every day of the week except for Sunday. 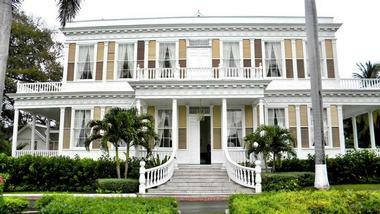 The Devon House Mansion was constructed in the late 19th century by George Stiebel, the first black millionaire in Jamaica, and today it is one of the best-known historical landmarks in the country. The mansion is furnished with a valuable collection of 19th-century antiques, and it sits on 11 acres of beautifully manicured lawns and gardens. Many of the old stables and other buildings have been turned into restaurants and souvenir shops. Guided tours of the property are available, and the price includes either a scoop of ice cream or a gourmet patty from one of the on-site restaurants. Encompassing 130 acres, the Cranbrook Flower Forest is a working nursery that includes an orchid hothouse and 40 acres of landscaped gardens. In addition to a wide variety of flowers, these gardens contain a replica of a traditional Arawak village, a pagoda overlooking the river, and a children's play area. 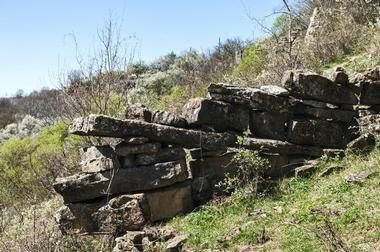 A 1.5-mile-long nature trail can be found beyond the gardens; it leads through the forest to the river and offers several natural swimming pools along the way. Visitors can also take a zip line tour through the forest canopy or visit the museum and gift shop, which is located inside an old sugar mill. Dolphin Cove Jamaica offers three different locations: Montego Bay, Ocho Rios, and Moon Palace Jamaica Grande, which is for the exclusive enjoyment of Moon Palace guests. 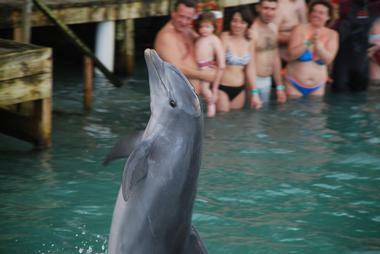 Each location has something different to offer, but the opportunity to swim with dolphins is the highlight at all of them. Other possible activities include strolling along a nature trail and marveling at iguanas, snakes, and exotic birds, relaxing on the beautiful white sandy beaches, and even hopping in the water alongside sharks and stingrays. Reservations are recommended, and transportation to the park can be arranged at an additional cost. 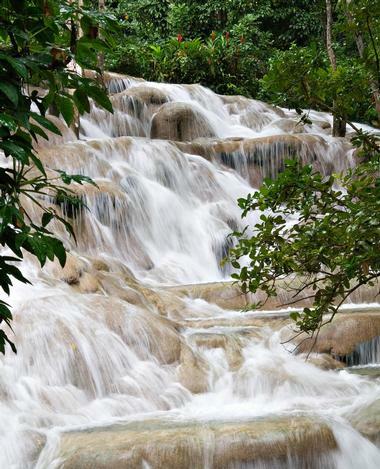 Widely acknowledged as one of the most beautiful places in all of Jamaica, Dunn’s River Falls is a unique terraced waterfall that empties directly into the Caribbean Sea. The terraces are excellent for climbing, and visitors can do so either on their own or with the assistance of a guide. The climb takes between 60and 90minutes, although it may take longer if you want to spend time relaxing in the pools along the way. Visitors should be aware that the terrain is quite rocky, and some people prefer to climb up the stairs that run parallel to the falls. 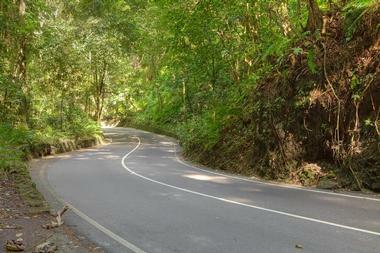 Beginning in Ocho Rios, Fern Gully is a scenic 3-mile road that brings visitors to the town of Colgate. The road runs along the route of a dried-up river bed, and so has plenty of twists and turns. It's also shaded by a tunnel of lush greenery; in fact, there are more than 300 different varieties of fern to be found in the area, hence the name of the road. The drive is not too long, but if you'd like to stop and get out of the car, vendors selling sculptures and wood carvings can be found along the way. 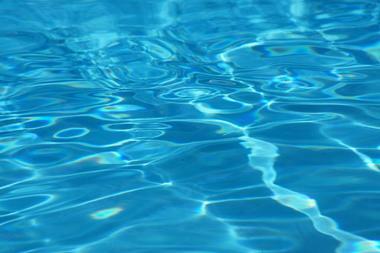 Also known as the Windsor Mineral Spring, Firewater Pond is a fascinating pool of water that can be lit on fire. The water is extremely rich in minerals and has been used as a medicinal bathing spot for centuries, and it is believed that these minerals are what give the water its ability to burst into flames. 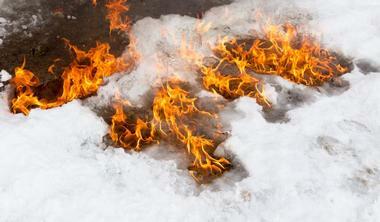 Visitors can walk through the water, learn how to cook on the flames, or even get a rejuvenating fire massage. Guides can be found in the community of Windsor, although visitors should be sure to clarify the price of a visit in advance. 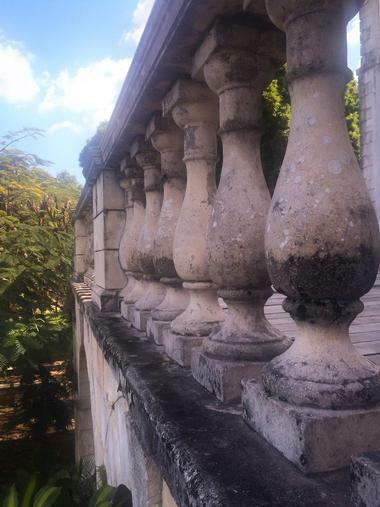 Originally the winter home of wealthy Tiffany heiress Annie Tiffany and her husband businessman Alfred Mitchell, Folly Ruins is a formerly luxurious mansion that fell into disrepair during the early 1930s and is now owned by the Jamaican government. Designed in the style of a Roman villa, the mansion boasted extravagances such as electric lights, steam and wind-powered generators, and running water as well as more than 60 rooms, an indoor salt-water swimming pool, and a sauna. Although the ruins are fenced off for safety reasons, it is still possible to visit the site and admire the structure from a small distance. 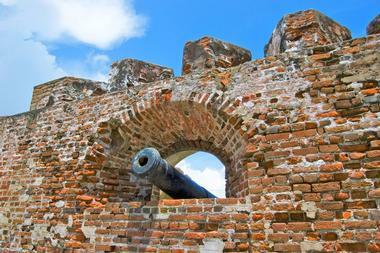 Built in the mid-1600s, Fort Charles was the first fort to be constructed in Port Royal. Built in the shape of a ship, the fort is almost entirely surrounded by water as it sits on a narrow strip of land that separates Kingston Harbor from the Caribbean Sea. With the exception of the museum that can now be found inside the fort, the structure is almost exactly the same as when it was first built. 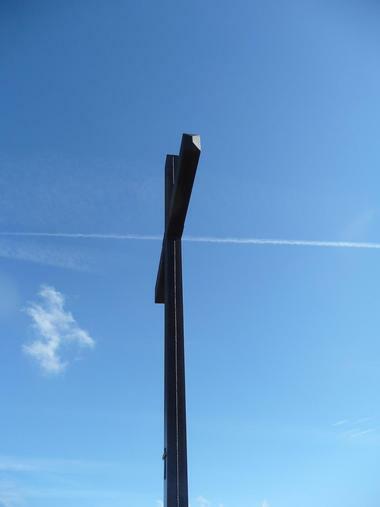 The fort is open to visitors between 9:00am and 5:00pm every day of the year except for Good Friday and Christmas Eve. Another of Jamaica's most stunning natural attractions, the Green Grotto Caves are located on the beautiful north coast. 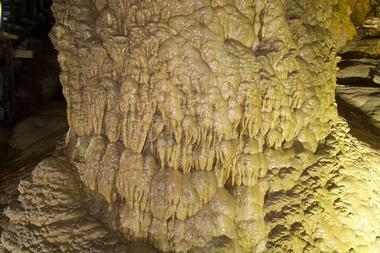 The caves consist of a network of interconnected passages and caverns, all of which are filled with stalactites, stalagmites, other mineral formations. Visitors can even climb all the way down to the deepest cavern in the cave system, which is located 37 meters below the surface and is home to a grotto filled with beautifully translucent water. Anyone who enters the caves must be accompanied by a tour guide; tours take approximately 1hour and are offered between 9:00am and 4:00pm. 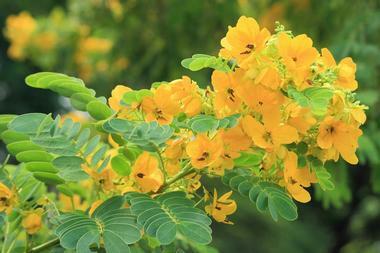 Formally known as the Royal Botanical Gardens, the Hope Botanical Gardens were first established in 1873. Today, the gardens take up 200 acres in St. Andrew, making them the largest botanical garden in the Caribbean and the biggest public green space in the Kingston metropolitan area. This is an excellent place to come if you're interested in seeing the blue mahoe, which is the national tree of Jamaica, or other rare species of tropical plants. Many of the plants here have an interesting history: they came off of a French ship that was captured in 1782 on its way to Hispaniola. Home to more than 900 animals belonging to approximately 60 species, the Hope Zoo is conveniently located in Kingston. The zoo sits on 60 acres of land right next to the Hope Botanical Gardens, and offers the opportunity to see a variety of animals from Jamaica, Africa, and North and South America. One of the most popular animal residents is a lion known as Lucas, but other highlights include flamingos, zebras, ostriches, and tortoises. Hours of operation are from 10:00am until 5:00pm every day of the week, but the best times to see the animals are in the morning and the late afternoon. 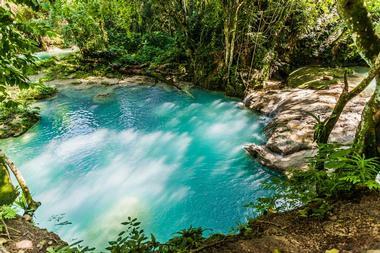 Nestled in the hills above busy Ocho Rios, the Irie Blue Hole is a hidden oasis of beauty and serenity. The clear blue water is perfect for swimming, while the waterfall and lush greenery make for some excellent photo opportunities. Plenty of tour options are available, some of which include lunch, shopping opportunities, and stops at other tourist attractions. Tours include pickup at all the ports and hotels in the area, but guests wishing to visit the Blue Hole on their own can choose to take a shuttle from Ocho Rios, Montego Bay, or Negril. Martha Brae Rafting Village is a 6-acre town with beautiful picnic grounds, a swimming pool, and a full bar, and it is also the starting point for bamboo rafting trips down the legendary Martha Brae River. 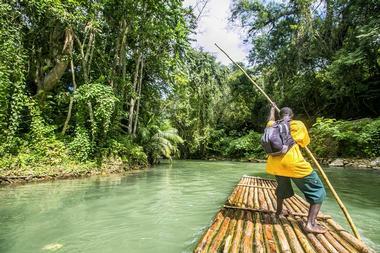 All rafting trips include round trip transportation from your hotel, a complimentary welcome drink, a guided 1-hour raft ride down a 3-mile stretch of the river, and a visit to Miss Martha’s Herb Garden for a brief presentation on the medicinal properties of Jamaican herbs. It's advisable to bring a bathing suit, as many visitors find they want to jump in the river to cool off. Consisting of two stunning waterfalls and 21 natural pools, Mayfield Falls is a great place to visit if you want to splash around in the water without the crowds that are typically found on many other parts of the island. The rocks are quite slippery, but the climb is suitable for people of an average fitness level and most people take around between 60and 90minutes to explore the falls. 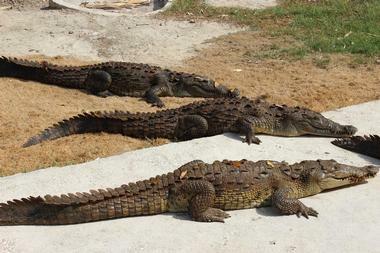 There is a small admission fee, and local tour guides are available for an additional charge. Locker and water shoe rentals are available, and there is an on-site cafe selling traditional Jamaican food. Established in 1974, the National Gallery of Jamaica is the largest and oldest art museum in the English-speaking Caribbean. The museum houses a wide collection of modern and contemporary art pieces from Jamaica and other parts of the Caribbean, much of which is on permanent display. In addition to the permanent exhibits, there are also often guest-curated displays and traveling exhibits from outside the country. 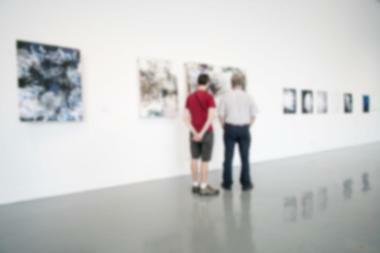 Guided tours are available, and the museum often hosts lectures, panel discussions, and educational children's programs. The museum is open Tuesday through Saturday every week, but is closed on all public holidays. Dedicated to Jamaica's seven national heroes, National Heroes Park is a 50-acre garden in Kingston. The land on which the garden sits has a long and rich history; over the years, it has been the biggest horse racing track in Jamaica, the grounds on which Queen Victoria's Golden and Diamond Jubilees were honored, and a concert venue for reggae legend Bob Marley. Today, visitors can admire the many unique modern sculptures, pay their respects at the War Memorial and the monuments to the national heroes, and observe the changing of the guard, which takes place every hour. 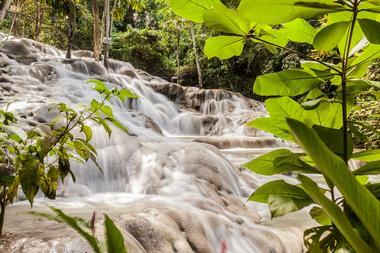 Only 5 minutes away from Dunn's River Falls and from the cruise ship port, Rainforest Bobsled Jamaica at Mystic Mountain is an adventure company that offers several unique ways to see the rain forest of the 700-foot Mystic Mountain. The Sky Explorer is a chairlift that brings visitors up to the top of the mountain and then down the other side, while the zipline allows visitors to fly through the forest canopy from one platform to the next. 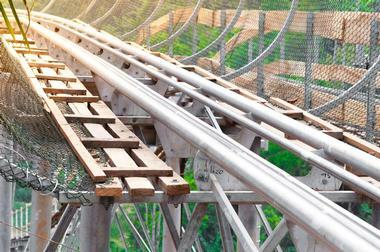 However, the park's primary attraction is the bobsled, which boasts a thrilling 1,000-meter descent through the rain forest on custom-designed bobsleds. 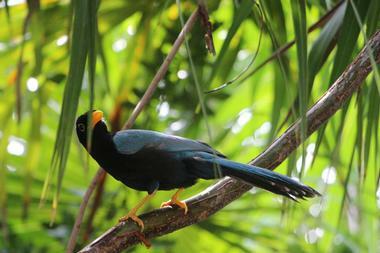 Located in Montego Bay, the Rocklands Bird Sanctuary provides shelter to thousands of different Jamaican birds as well as birds that have flown south for the winter. In addition, it is home to three of the four hummingbird species that are indigenous to Jamaica; the sanctuary is also sometimes known as the Rockland’s Feeding Station, because visitors are given a bottle of sugar water so that the hummingbirds will perch on their fingers and drink from it. For those who want easy transportation, the sanctuary has partnered with Jamaican Taxi Tours to offer round trip transportation from all of the nearby hotels and cruise ship ports. 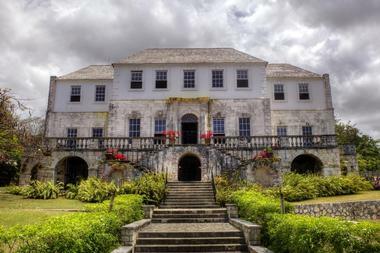 Originally built in the 1770s, Rose Hall was carefully restored during the 1960s and is now one of the most famous historic mansions in Jamaica. The interior of the mansion is decorated with silk wallpaper, beautiful chandeliers, and a collection of European antiques; there is also a museum with exhibits about the mansion's history of slavery. Tours of the home and grounds take approximately 90 minutes, and are offered daily between 9:00am and 5:15pm. Reservations are not required for groups of less than 20 people, and visitors should be aware that photos and videos are not permitted inside the house. 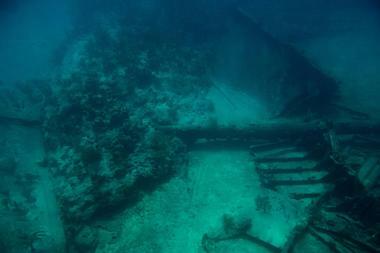 One of Jamaica's most notorious cities during the 1600s, the Sunken Pirate City has been hidden under the waters of Kingston Harbor since it was destroyed by an earthquake in 1692. The city was visible under the water until the 1900s, but today its remains are buried below more than 40 feet of water. Anyone wishing to dive in the area must obtain special permission from the government, but divers have collected many interesting artifacts that can be seen at the Institute of Jamaica in Kingston, where they are displayed in the Museums of History and Ethnography. Born and raised in the rural village of Nine Mile, Bob Marley is one of the most famous Jamaicans to have ever lived. After his death, he was buried alongside his half-brother Anthony Booker and his mother Cedella Booker in the Bob Marley Mausoleum, which also happens to be the cottage where the musician spent his childhood. 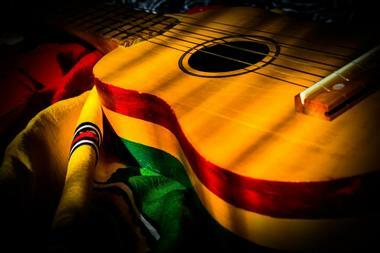 Tours of the mausoleum are typically led by Rastafarian guides, who will perform one of Marley's songs and explain the various pieces of memorabilia found in the home, including the famous "rock pillow" Marley would often rest his head on when he wanted inspiration. Many people visit Rose Hall to marvel at its beautiful architecture and opulent furnishings, but the White Witch of Rose Hall is another enticing reason to spend some time here. According to local legend, the grounds are haunted by the spirit of former plantation owner Annie Palmer. Despite her innocent-sounding name, Annie is believed to have practiced voodoo and witchcraft, and is even rumored to have killed all of her four husbands. Anyone interested in the legend can learn about it by taking a guided tour of the mansion, and haunted night tours are available for anyone feeling especially brave.